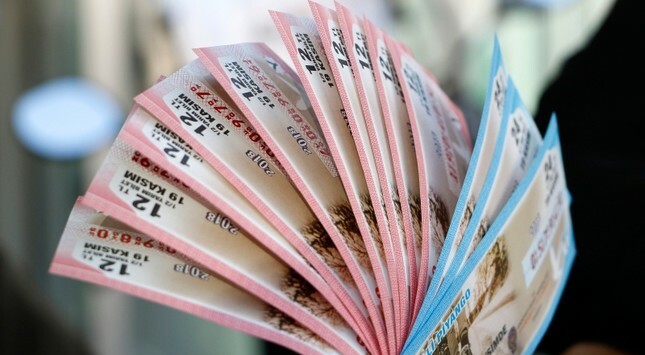 Eight lucky national lottery ticket holders from the same district in northwestern Turkey's Bursa province hit the jackpot of 337,522 Turkish liras ($58,215) in the April 15 draw. Eight residents of Karacabey district hit the jackpot, along with four other winners, in a draw organized by Milli Piyango, Turkey's national lottery administration. The other four winners were from southern Adana province and Istanbul's Kadıköy, Bahçelievler and Fatih districts. This year's National Lottery New Year's Special set a record for the largest bonus won by a single ticket holder with a jackpot of 70 million Turkish liras ($13.2 million). The winner, who bought the lucky ticket in Istanbul, has yet to claim the prize.